The Dominican Chorale is a community choral ensemble sponsored by Dominican University of California. 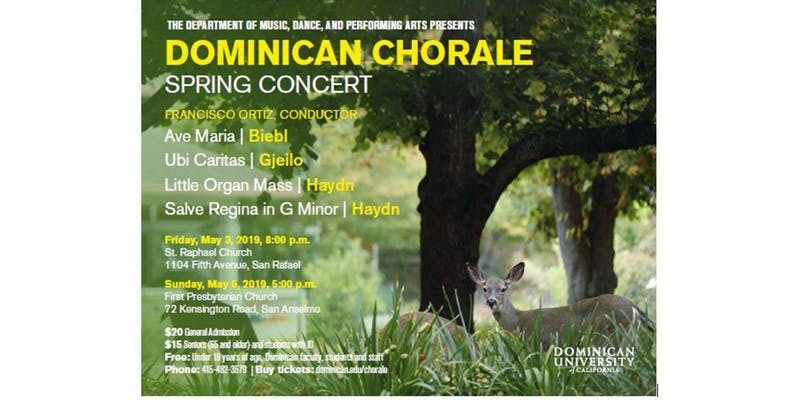 The Chorale is open to all interested in singing choral art music, and serves as an academic credit ensemble for university music students and other students enrolled at Dominican. $15 Seniors (65 and older) and students with I.D. For more information, visit https://dominican.edu/chorale.